In Key Stage 1 we aim to build a love of learning and an ability to work independently. We believe in developing childrens’ learning behaviours so that they can aspire to achieve, as well as grow a passion for learning and improving themselves in all aspects of their lives. 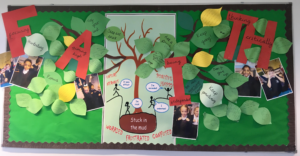 We introduce ‘F.A.I.Th‘ at the beginning of each year to develop the childrens’ understanding of how to Focus, Aim high, be Independent and Think critically across the year. We provide a broad and varied curriculum, which enables each pupil to find their own strengths and gain in confidence. Differentiated lessons and tasks allow children to progress at their own pace, making learning fun, focused and individualised. We offer a wide programme of activities that allows pupils to try something new and discover hidden talents.